70% Off First Item/Outfit OR 2 for $24 Leggings! Inexpensive, high-quality activewear is difficult to find. It either costs a million dollars or falls apart after being worn twice. However, when I stumbled across Fabletics, I thought it might be different! With their positive customer reviews and amazing deals for new members, I saw no reason not to try out their activewear. Although I was hesitant to purchase from a new brand without being able to try anything on first, they offer free returns on any first order if you’re not satisfied. I was also hesitant about their member program, but they offer free cancellation at any time. With these guarantees as well as the inexpensive price, there was no real risk of trying it out. They have quite a large variety of items! You can find plenty of leggings, tops, sports bras, accessories, and even outfits that they put together for a better deal. 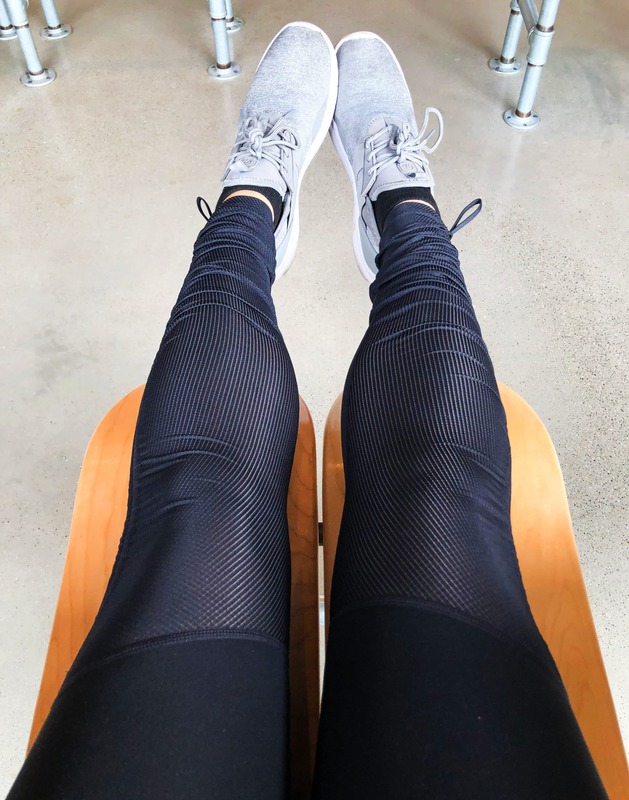 My first Fabletics review shares much more detail about my first order and how the member program works, so head over there if you want the full experience. This one is simply a quick review of my second order. For my second order, I chose another outfit because that’s the best way to get a deal! They put together two or three items from their shop for a much better price than purchasing them by themselves. Most of these outfits are adorable, and you don’t have to worry about putting together an outfit on your own—they do it for you! My order was shipped a few days after I placed it, and it arrived in a white mailer bag. I couldn’t wait to open it and try my new activewear on! I’ll be reviewing each piece of my outfit below. After getting a pair of pretty wild print leggings in my first Fabletics order, I was searching for some regular black ones that would go with more outfits. These looked like a good choice without being too simple. Plus, the other items in the outfit were cute too. These leggings are great for working out or even just daily wear! They’re crazy comfortable and fit perfectly. I really like the mesh bottom as well. They do get scrunched up at the bottom (most leggings do this because I’m short), but the mesh material makes it look much cuter rather than when it happens with plain leggings. 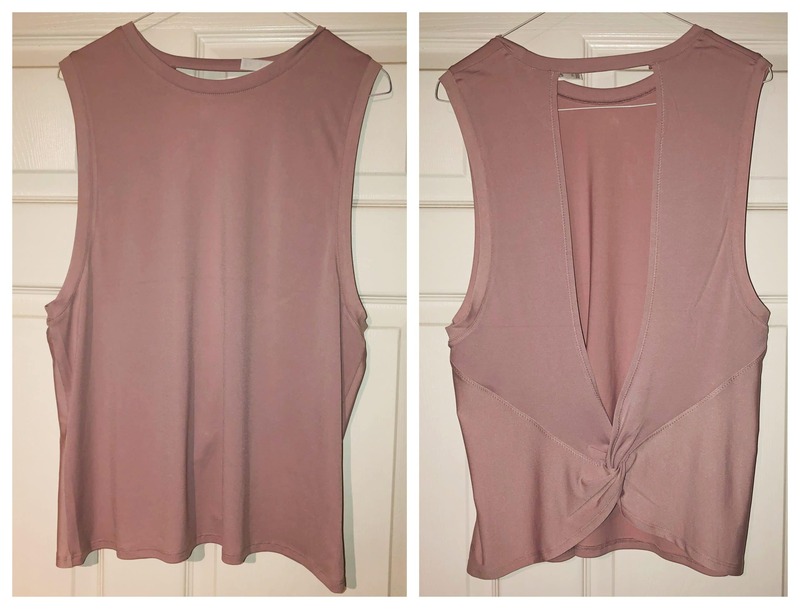 This is a simple, open-back tank top. I got the pink color. It’s really cute and gives the black outfit a nice pop of color. It’s great for workouts because of the lightweight material and wide open back. You can never have too many sports bras. This one is just a regular black racerback style. It’s seamless, so there’s not much support, but I like it for everyday use. It’s pretty lightweight as well, so I can wear it on a warm day without it feeling heavy and clingy. As I mentioned, the amazing deals for new members are one of the biggest reasons I tried out Fabletics. I was able to receive the deal that grants 70% off your first item when I joined, which saved a ton of money. It works on outfits too, so I got one with a sports bra and leggings for only around $15! In addition, they almost always offer a 2 for $24 new-member deal on their leggings, which is a great deal for two pairs of high-quality leggings. Their sales and introductory deals are always changing, but they always have something great to offer! Fabletics is actually created by the same company as a couple of other similar stores, including JustFab and ShoeDazzle. These are set up the same way, but with different products. JustFab has a huge variety of trendy clothes and shoes, while ShoeDazzle exclusively sells shoes. If you’ve already signed up for Fabletics, you can still sign up for these two companies to get their new member deals as well! 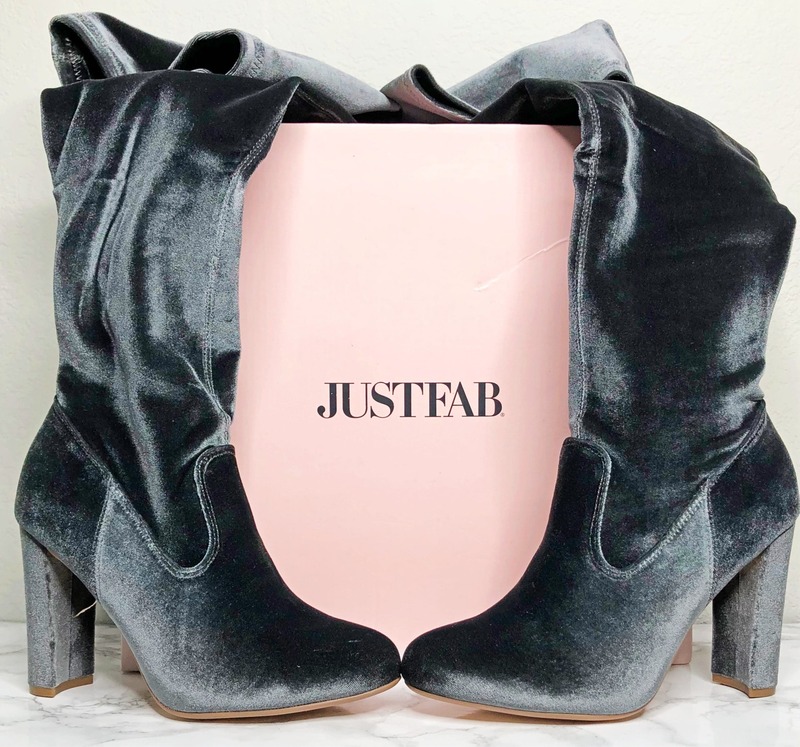 You can see some examples in my JustFab reviews (like getting your first item for $10). I have yet to try ShoeDazzle, but that’s next on my agenda. Overall, I’ve been pretty satisfied with Fabletics so far. Their clothing is cute, high-quality, comfortable, and great for working out or even just wearing regularly. I especially love their leggings because it’s so difficult for me to find the right pair! Plus, their new member deals are incredible.